DMT "RISA": Responsive osTicket > Frontend Theme with SCP Interface is ready. Test it now! "RISA" is the name for the base of a fully responsive frontend and backend for osTicket. At this point we have finished the work on the frontend. Now you can adjust the complete frontend design from the backend with just a few clicks. Just navigate to "Admin Panel" > "Settings" > "System" and you will see a new tab "Theme".Do you like a header with your logo in your corporate color? Just click.Do you like a clean theme with flat design? Just click.Do you like a background image? Just click.And many options more...Having in mind, that the technic of osTicket is up to date, but the appearance not, we did a lot of additional work: reworked the css, integrated bootstrap, added additional redactor plugins, added additional page types, reworked the sanitizing and cleaning of html, removed the possibility for frontend user to edit the html code, reworked the design, integrated bootstrap support for pages and tickets, and a lot of more ... Here you can see it live in action:https://risa.dmt.gmbhIf you like to test the scp interface use the following credentials:https://risa.dmt.gmbh/scpUsername: JohnAdminPasswort: Z7DXa(@PuBMfThe demo page resets every 30 minutes!We will keep you informed, when the first themes based on RISA are available in our club. Do you have any details/documentation on how to install it for folks who are less technical? If you have no modifications ir customizations it's easy: just copy and override the original files. That's it! I didn't, I asked the question so anyone that looks here will have a better understanding in the future. However, it states they will keep us informed when RISA is available, I am assuming it's not yet ready for public @amorel_ljsl. @amorel_Ijsl: No, it's no beta. Have you tested the new interface and did you find any bugs? Your feedback is welcome. Just login in the backend with the provided user "JohnAdmin" above and try the new scp theme panel. We are working on a starter pack of 5 frontend themes, each can be easily adjusted in the backend to your needs. Hello @DMTGMBH , please keep us informed when and where we can download the theme and congratulation about the good job you done! Thanks. Sorry for my previous message, I was wrong.I am also interested in downloading / buying it. How could I do it? Freshly purchased the Purify theme, and faced a couple of prolbems. Need help. 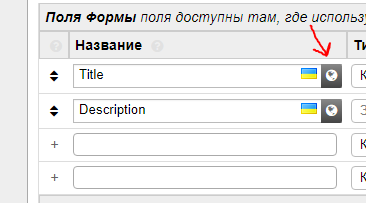 Mainly I found some functionality dissapeared form admin interface (scp):Original Osticket has the following(attached) translation selector (forms settings particulary), that dissapeares after uploading PURIFY theme.Could you direct me to how to correct this problem, as we need to use multilingual interface?----By the way, I can not find any support forum link at DMT-club site. @mokamobile: We are worlking hard on an update. Because of testing at 10 different internet service providers we remarked, that the basic unmodified installation of osticket doesn't run correctly at all, with the basic settings and different php versions. At the moment we are analyzing the returned data and will provide an update pack with an additional installation guide and hint and tipps. If you have further questions, don't hesitat to contact me by mail. Great, thank you for your interest. Could you recomment right settings to possibly avoid this problem?Or, you could give me advice how to temporary switch off new formatting for SCP interface?